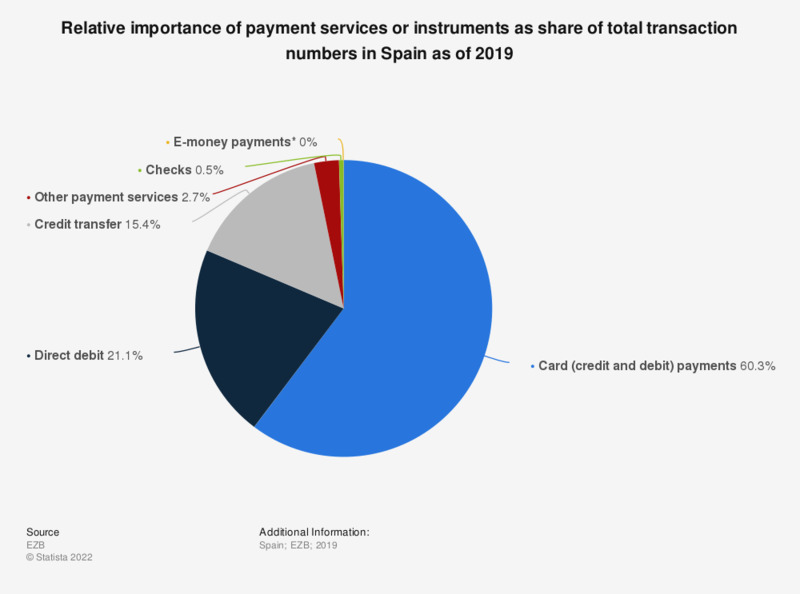 This statistic displays the relative importance of payment services or instruments as a share of total transactions (in terms of transaction numbers) in Spain as of 2017. In that year, card payments were ranked as the most important payment instrument on that market, accounting for for over 51 percent of all transactions. * E-money instruments, issued by resident payment service providers (PSPs) as defined in Directive 2007/64/EC, according to the source.